5 bedroom, 3 bathroom villa in the The Hamlets community. Owned by Linda Tinkler. Ref: 3562. For privacy reasons, the marker on the map shows the The Hamlets community location and not actual villa location. 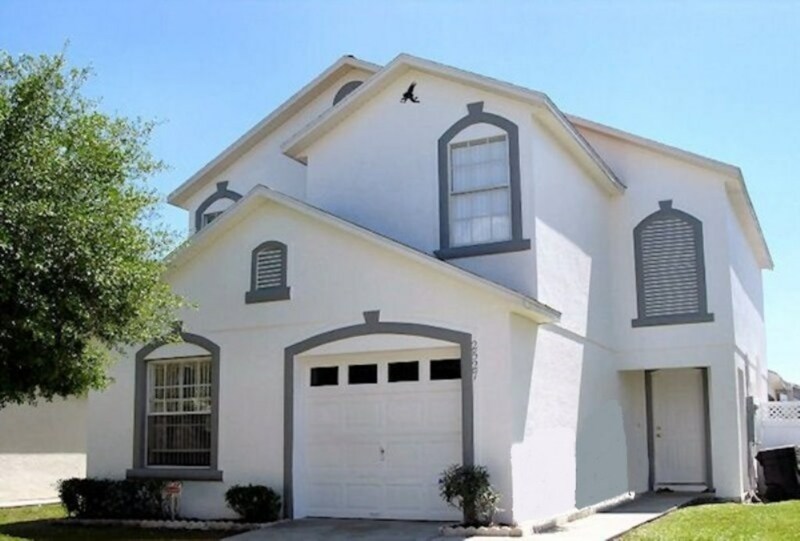 Villa Linton is a 5 bed/3 bath home in a quite gated community of The Hamlets. We are located just off US192 which has hundreds of shops, restaurants and attractions (some even within walking distance) and it is just a short drive to the theme parks. Our fully screened large south facing pool & spa is fenced for privacy and the over sized deck has plenty of room for the luxury sun loungers for soaking up the Florida sunshine all day long. Our home has themed bedrooms for children including a unique hand made Mystery Machine bed in the Scooby Doo room. Welcome to our fantastic 5 bed/ 3 bath home with private south facing pool and spa. TV Lounge with 2 large comfortable leather sofas, Cable TV, DVD player with selection of films, Xbox 360 with games, glass coffee table & side tables (toughened safety glass) and telephone. Formal dining area with glass top table (toughened safety glass) and seating for 6. Fully equipped kitchen with dishwasher, stove, microwave, fridge/freezer, coffee maker & toaster. Breakfast bar with 3 stools. Family sitting room with 2 large sofas, side tables, CD player and bookcase with selection of books. Sliding doors lead to pool area and covered lanai*. Bedroom with Queen size bed and nightstands, TV/DVD combi, walk in closet, clock radio alarm and en suite bathroom comprising of wash basin, WC, bath with shower over and hairdryer. 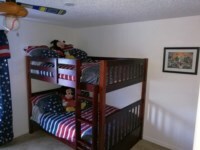 Games room with Foosball table, air hockey table, hoops game and Play Station 2 with a selection of games. Laundry room with washer, dryer, iron & ironing board. 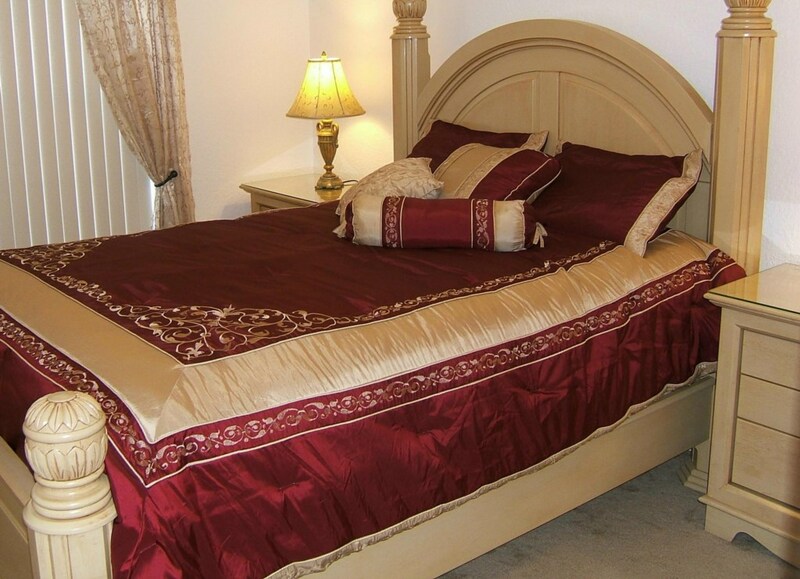 Master bedroom with King size bed, dresser, nightstands, TV, clock radio alarm, walk in closet and en suite bathroom comprising of twin wash basins, WC, bath with shower over and hairdryer. House bathroom comprising of bath with shower over, wc, wash basin and hairdryer. Large south facing pool(heating optional), in ground spa, large deck area with sun loungers and chairs, covered lanai with table & chairs for outdoor dining. 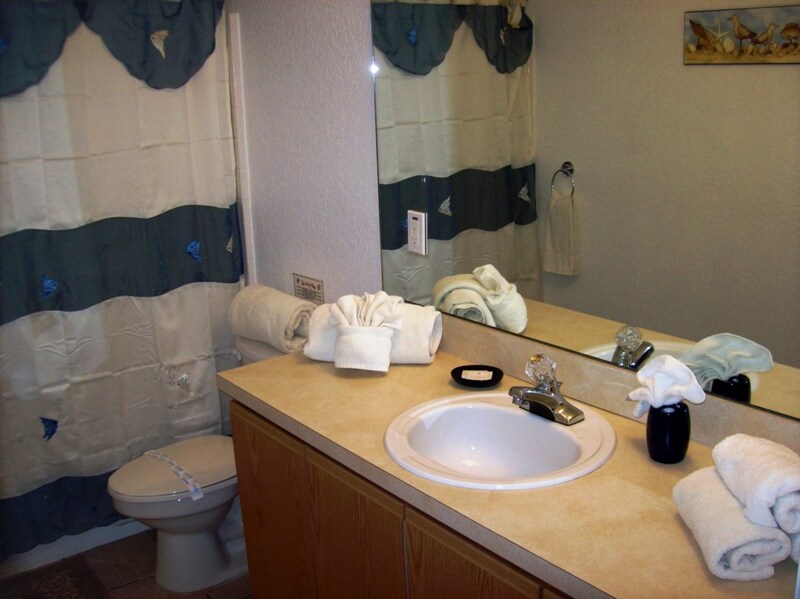 As you would expect the house is fully air conditioned and all linens, towels, crockery & cutlery provided. We also have shatterproof dining ware for the pool area. 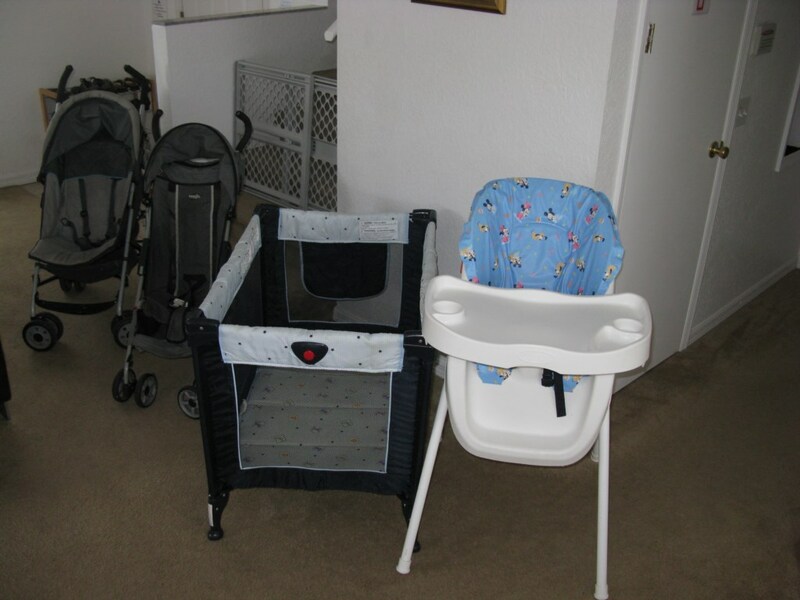 We also provide free use of a child's travel cot, high chair, stair gate and stroller. Free wireless high speed internet access is available. 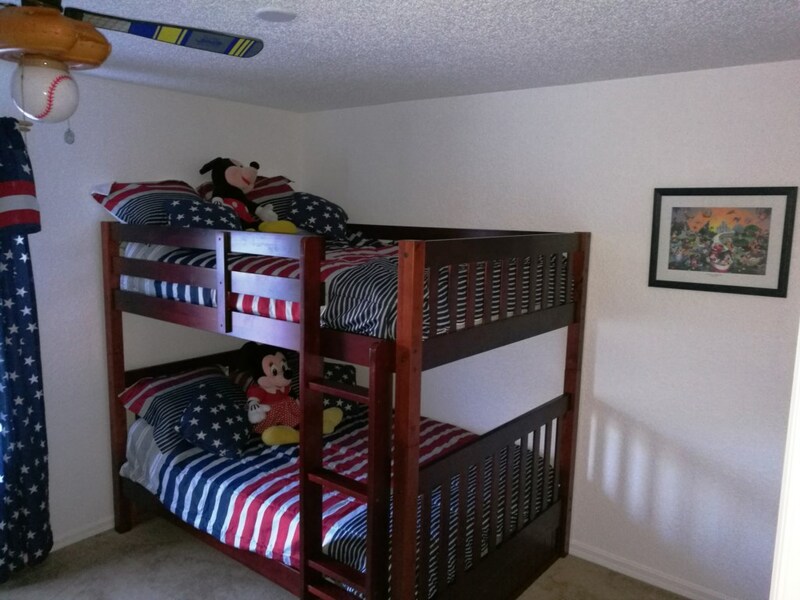 All rooms including games room and lanai have ceiling fans for added comfort. *All doors are alarmed for safety and the doors to the pool area have safety fences installed. Pool/spa heat is optional at £95 per week. We can rent our home as a 3 or 4 bed during loan season or for last minute bookings so do ask for a quote stating how many bedrooms you require. Your enquiry will be sent to villa ref 3562 only. This page has been viewed 3918 times since 04 Jul 2016.